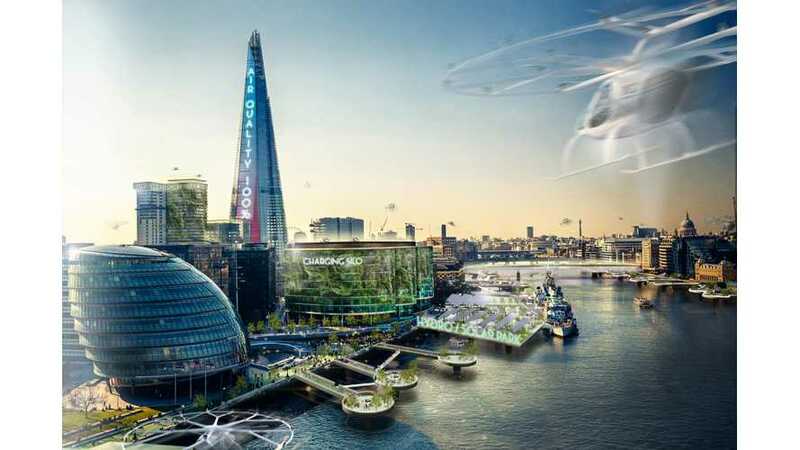 Jaguar partnered with London architecture practice Barr Gazetas to try to imagine how electric cars could transform cities in the not too distant future. The fruit of the partnership is four concept urban plans (see them below) named ‘Today’, ‘Tomorrow’, ‘Electric City’ and ‘Electric Future’. In general, we see a more human-friendly environment both in terms of space and air quality. Combined with less noisy roads, it should be a peaceful place to spend time. "‘The Electrified Automotive Future and its Relationship to Architecture’ was the subject of an evening hosted by Jaguar design and a group of London’s leading RIBA architects, planners, property developers and infrastructure experts.The Royal Institute of British Architects (RIBA), of which Ian Callum is an Honorary Fellow, is the professional body for architects in the UK with more than 40,000 members around the world. 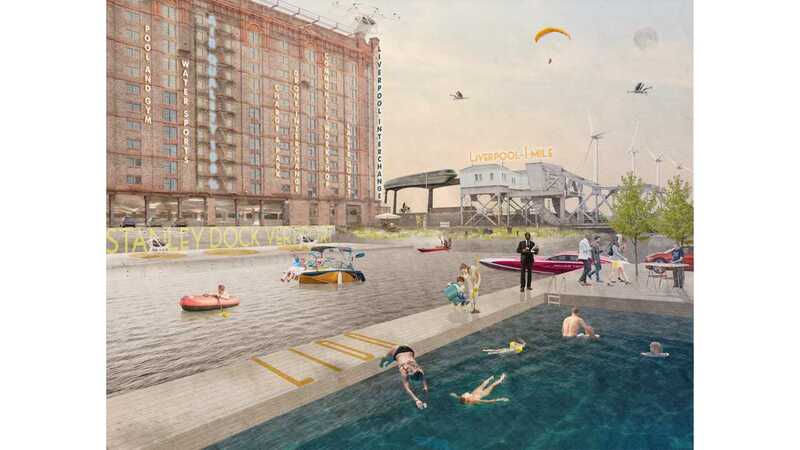 Ian Callum and a number of architects led by award-winning Jon Eaglesham of Barr Gazetas presented concepts depicting a joint-vision as to what an urban future of automotive electrification could look like." 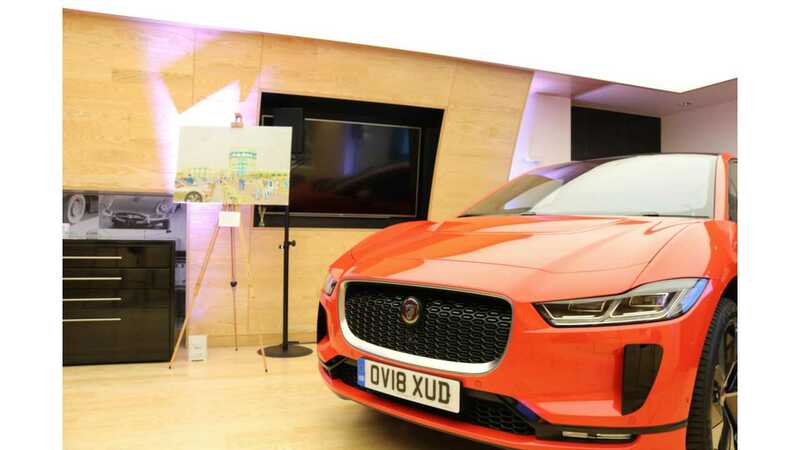 “I am incredibly proud of what we have created in the Jaguar I-PACE and the reception it has received since its launch. It is a truly revolutionary vehicle with one of the most advanced zero-emissions powertrains ever fitted to a production car. 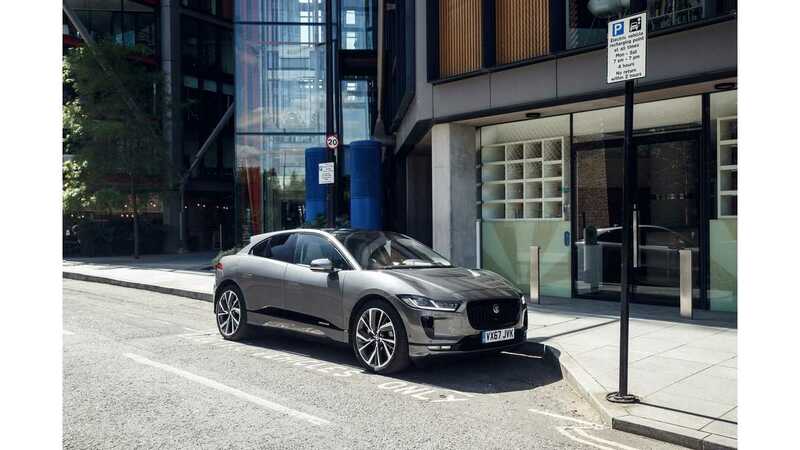 The I-PACE is instantly recognisable as a Jaguar, with the beautiful design and dynamic capability inherent in our vehicles. 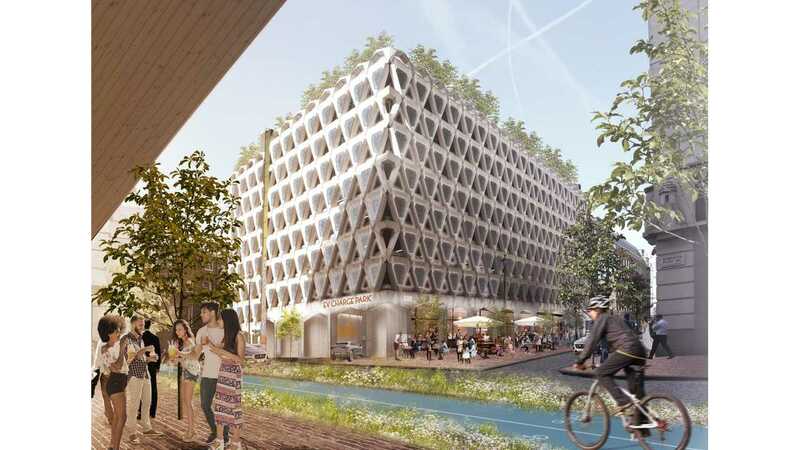 Today – what a motorway service station could be… In this example we take a traditional, tired motorway service station and breathe new electrified life in to it. It is based on Forton Services on the M6. When it opened in 1965 Forton Services was a beacon of modernity featuring an up-market restaurant and a sun deck. Today motorway services are often an unpleasant jumble of commercial buildings servicing noisy, polluted motorways. With electrification, much reduced noise and pollution together with increased ‘dwell time’, result in such stations becoming destinations with an array of amenities and services including farm shops, gymnasiums, swimming pools and restaurants to give travellers greater options to occupy the time required to charge their vehicles. The trend towards connecting these stations to their local rural and urban community is enhanced by the environmental improvements electric cars will bring. 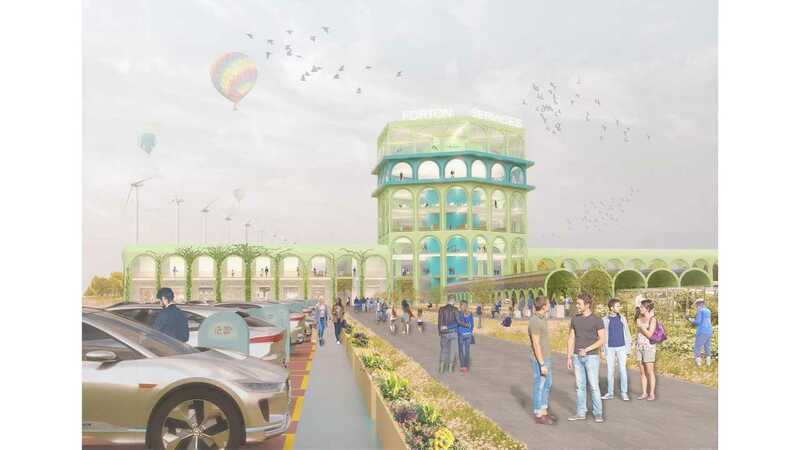 Encouraging people to visit for a variety of reasons, be it for leisure, to work or to trade produce and ideas, they will revive the lost model of the ancient caravanserai.